Is Peppercorn The Good Food Company Australian? We are 100% Australian owned. All of our products are made from Australian meat and fresh produce. 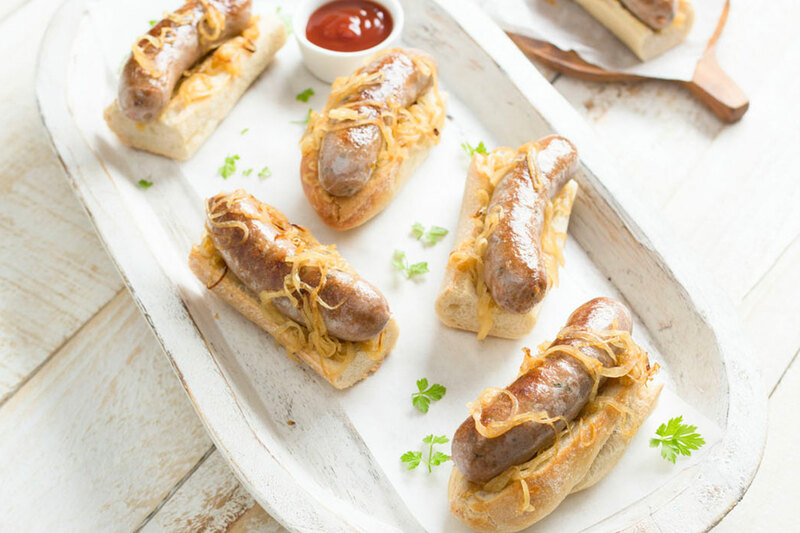 What makes the Extra Lean Range healthier than other sausage brands? This low fat range was created to be heart-friendly and meet nutritionist-approved standards for saturated fat, trans fats and sodium. It is also 100% gluten-free, dairy free, nut free, soy free and lower in salt. What is the best way to cook Peppercorn sausages? Slowly does it! Cook over a moderate heat so the casing doesn’t split. DO NOT prick the skins as they act as steam jackets locking in the natural juices and flavours. Cook thoroughly. Are all Peppercorn products peanut free? Absolutely. There are no nuts of any kind in our premises. I am allergic to wheat. Can I eat your sausages and burgers? Yes. Some Peppercorn products are gluten-free, making them suitable for people with coeliac disease. We use rice flour in some products, which is gluten-free, to help bind all of our fresh ingredients. Can I defrost the pack in the microwave? Yes. Keep a pack in the freezer and you’ll always have a healthy meal easy to hand. Can I freeze Peppercorn products? Yes, but we recommend using the frozen products within three months. Why are sausages called bangers? During WWI, sausages contained so much water they would explode with a bang sound when fried.